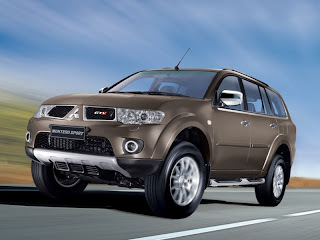 Mitsubishi Motors Philippines Corporation (MMPC) says it welcomes the decision of the Department of Trade and Industry (DTI) to hire an expert(s) third party to perform all relevant tests and investigations regarding the Sudden Unintended Acceleration (SUA) on the Montero Sport. MMPC, the DTI investigation panel, and the Department of Science and Technology (DOST) will lay out within 30 days the terms and conditions for the conduct of investigation by such third party expert. MMPC also welcomes the DTI’s recommendation to conduct a free inspection and mandatory preventive maintenance of all DTI identified SUA complainants’ vehicles and to issue a quality reassurance certification. There was also a recommendation for MMPC to continue its free check-up campaign for all Montero Sport automatic owners and to provide the same certificate of quality reassurance for the purpose of providing peace of mind to its owners. MMPC will remind its current and new customers the proper operation of an automatic vehicle and other safety measures in starting and driving a vehicle. Read about the MMPC press conference here.